Edited to add: SOLD OUT QUICKLY…sorry. You all know that we have three dogs…yes, I know (bedlam). So when I saw this adorable dog leash, I couldn’t resist sharing it with you. Now through February 19th you receive free shipping from Snapfish when you use the code PRESDAY at checkout. Once you’ve sign up, click to get the credit. Create your personal leash ( search the word “leash” to find it on their site ) and proceed to check out. 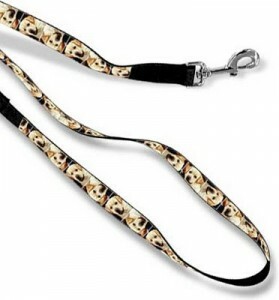 The credit towards the free leash will applied and your balance will go to $0. Note: Paypal does not work. You may still need to enter a credit card since this is just the checkout process of Snapfish, but it will take it to $0, so there will be no charge. This is such a wonderful gift for any dog lover. I kept getting a message that said “unable to load page.” Is anyone else having this problem. I’ll try just typing it in. This sounds like fun.